Many nights I stay up and reflect on deep things that transpire throughout the day, and ponder meanings of ambiguous gestures by people. Tonight though, I’m thinking less about ambiguous happenings and more on specific thoughts flowing through my head. Tonight, the notions from the day are simpler to decipher. I always go back to my belief that relationships with other people are everything. 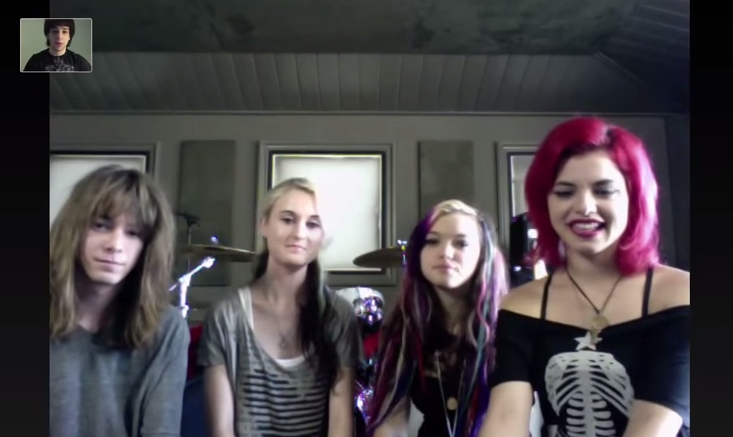 They define our lives, and open up doors for us even when we’re not necessarily looking. Talking to people, and being able to do so with relative ease, is something that I believe everyone should learn how to do, at least on some level. But people need to also learn to hear others; not just listen, but hear. Hear what other people are saying, even if you need to listen for the words between the words. Being able to read the non-verbal cues that people put out—what’s important to them, and how to augment those things with your own positivity—is one of the sure-fire ways to cultivate meaningful and mutually beneficial relationships with people. Everything else follows that. As we approach the graduation weekend for numerous schools around the country, I’ve been reflecting on the past year. A year out of the dorm, and a year beyond the home I made during my college years. 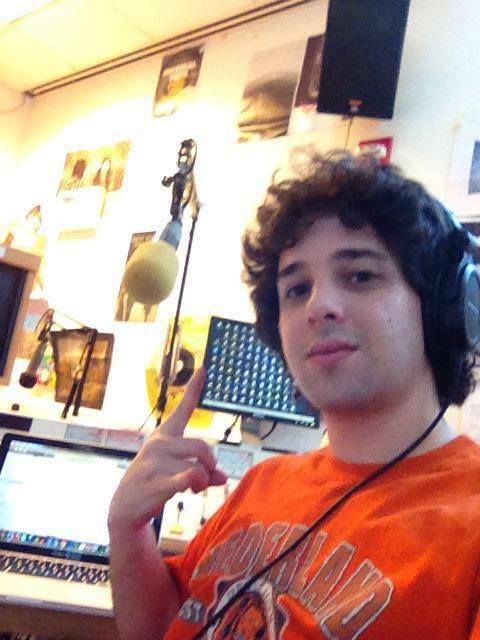 I graduated from Brandeis University a year ago this month, and as I see posts containing the words “graduation” and “college” beginning to trend on Facebook and Twitter, I remember what it was like sitting my dorm days before life would take a major turn. And I think about the commencement speech draft I wrote, but ultimately didn’t end up giving during graduation. Another wonderful speech was chosen, but as I reread the words the went pen to paper 12 months ago, it’s striking just how much they still hold true today. Even more striking, though, is just how applicable they might be and are to most every student graduating now, regardless of the school. I’m struck reading it just how much it still resonates with me. And it seems that it should see some sort of public viewing, even after a year, and even if it’s not from my lips at a graduation ceremony. So I suppose I’ll take a chance and publish it here. The terms may not apply to every school, and the people referenced may have long since found new avenues. But I still think perhaps some few might get something out of reading it. I certainly did writing it. I wrote it while listening to the song “You’re a God” by Vertical Horizon; I’m not sure what exactly was in that song, but to me, it seems to capture the surmounting victory and limitlessness of graduation perfectly. So I’ve simply copied my original text; no corrections, omissions or substitutions. Honest words for an honest feeling, take from it what you will. This is how I felt a year ago this month. Accomplishment and pride in oneself go hand in hand as we forge through tough times to hit our most celebrated highs. To all those graduating, congratulations on reaching a new horizon. Everything we need is right here before us. We have conquered so much to be here now, and our tide is still rising. To my fellow graduates of the Brandeis University class of 2014: Congratulations!! We’ve reached our horizon!! What we have accomplished here today is success unto itself. 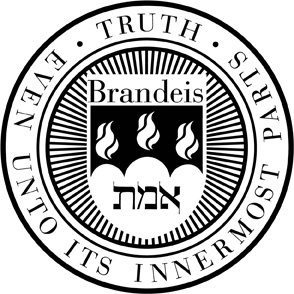 We have succeeded in becoming what we always thought we might be, but never truly could be until we came here, to Brandeis; we have succeeded in fully becoming the best versions of ourselves: compassionate, driven, talented, destined. As far as we move in the future, as uncertain as our paths might seem, or scary the times may become, we will always know that it was here at Brandeis that we become heroes, the masters of ourselves, our pasts and our destinies. I could never be anything but honest in saying this to all of you. As Brandeis graduates have stood here before me to say, “thank you” is what we can only begin to communicate back to our esteemed President Lawrence, Provost Goldstein, the members of the board of trustees, and Brandeis alumni. Even more, though, to the distinguished and hard-working faculty and staff, our honored guests, our friends, and most importantly, our families, without whom none of us would be standing here today. In the seven semesters that I’ve spent here at Brandeis (yes, I was a Midyear, and such a cult status will never be lost on me haha), I’ve learned more than I could ever articulate at this particular moment. I was breathless with excitement and determination on the day my acceptance letter came, and I only became more so the moment my college career began here, a feeling I’m sure you all share. Because that is exactly the kind of school that Brandeis is; the kind of school that challenges us to achieve all that we can, the kind of school that challenges us to be masters. Yet Brandeis is the sort of place that welcomes not only those students who are academically bright and accomplished, but those students who possess other talents, most more than anyone could ever imagine. Brandeis accepted me when I certainly didn’t have the 4.0 GPA. Yet they saw in me not what I had ever been (in grade school, high school, or whatever), but what I could be as a Brandeis graduate. For all of you, I can only begin to imagine the potential that Brandeis saw when your names came across the desks here. And what a breathtaking community we’ve cultivated here, like no other anywhere on earth. We are not content to crawl; Brandeis students run everywhere, most times with three or four textbooks in hand! But I’ve seen Brandeis students achieve amazing things: I’ve seen students create a more stable sense of community than I have likely ever seen, rejoice with one another when the times are wonderful, and console one another when the times are tough. We totally rocked the social justice thing; no we didn’t always agree, but hey, we’re the judges and jury, so would anyone expect us to?! Brandeis is just one more step in our life’s journey, but one that we will hold close forever. Last year, I went abroad and found myself in Amsterdam, in a city, country, and culture vastly different from my own (ok, not that different haha). And although I miss Amsterdam every day, while I was there I found myself missing Brandeis every day. No, I didn’t miss the BranVan so much, or the Rabb steps, and I for sure didn’t miss that ridiculous East Hill most of us had the displeasure of trekking up in the winter. No, what I missed was the sense of community that one can only describe as “Brandeis social justice.” Because it’s not something that we do to create a sense of community for social events in Waltham or Boston, but also something that we create for each other here, every day. It’s something that begins to envelop prospective students the minute they come for a tour, and something we all feel throughout our time here. And while I made wonderful friends while I was abroad, and felt a sense of community that was special at that time in my life, nothing was or will ever be able to replace what we have with one another here at Brandeis. The support we give to one another, the benefits we afford each other and the pride we take in one another…these are all things that we came to learn best during our years here. And now this time has come to an end, and it’s time for us all to move to our next chapters in life. But what a ride it was! We handled it as best we could, and I must say, I think we absolutely succeeded. I could say that I believe that the degrees we receive today are a testament to our accomplishments. Except they aren’t. They are an affirmation of what we already know: we, us, here right now, we are our own testament. We are all we need. Look to the people sitting beside you today, and take pride in the people they are, take pride in yourselves. Let us take pride in who we have all become. We have become the heroes of our own stories, masters of our own destinies, if only for a little while. That is what our degrees are a testament to: that we will never give up, and that the drive and success we found here at Brandeis will follow us our whole lives through. So today as we strike the next notes in our symphonies, remember what Brandeis taught us: be fearless, take risks, dare to dream, dare to strive for something more. Reach the crescendo like we did every day here. Continue to be Brandeisian in every moment of your lives, lending hands to the world and spreading the values that were instilled in us here. We’re pretty stubborn, I think we’ll make it work. I am inspired by every one of you every day, and look forward to seeing the amazing things that you all, that we all, accomplish. Congratulations, class of 2014!! 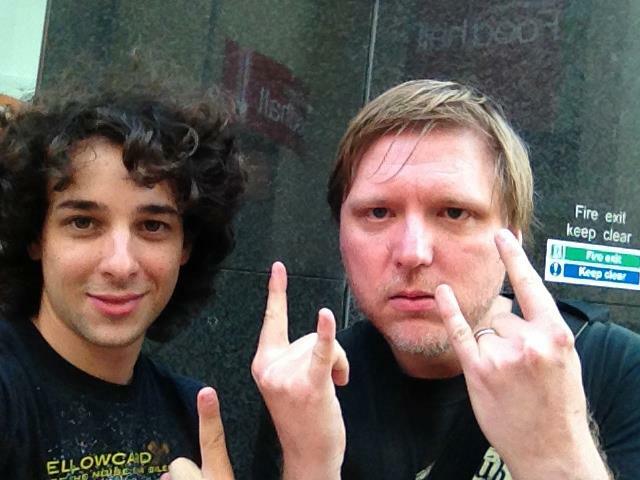 We are heroes. We did it!! Earlier today, I came across a post on Medium by Product Hunt CEO Ryan Hoover. Simply titled with a captioned quote, “The world doesn’t need another blogging platform. But I did.” is Hoover’s response to a question he posed in the thread of a new PH product, Buffalo. The product in question is yet another blogging platform, the necessity of which Hoover muses on. The subsequent series of responses between Hoover and Buffalo founder Drew Wilson is brilliant. Hoover first posits that another blogging platform might be overkill, as he’s even more inclined to use Medium than his own blog simply because of its ease and reach/social engagement. Notice that Hoover began the entire thought with a positive comment—that he liked the clean design. Already a high note has been struck. His subsequent statements are made from the point of view of his own opinion, and thus are disarming, rather than aggressive. Wilson’s response is equally brilliant. Screenshot of Wilson’s response on Product Hunt. In one fell swoop, Wilson answered Hoover’s thought with his own disarming postulation. He’s not defensive in the least; simply enthusiastic to give a brief overview of what he likes best about his product, and why he thinks it’s different. Beyond that, though, his tone and diction clearly illustrate his desire for a product like the one he’s built. He even concedes that Hoover is essentially right, and that the world doesn’t need another blogging platform. But those three words—”But I did”—would make any reader excited to interact with such an honest and positive personality. Hoover’s second response on Product Hunt. 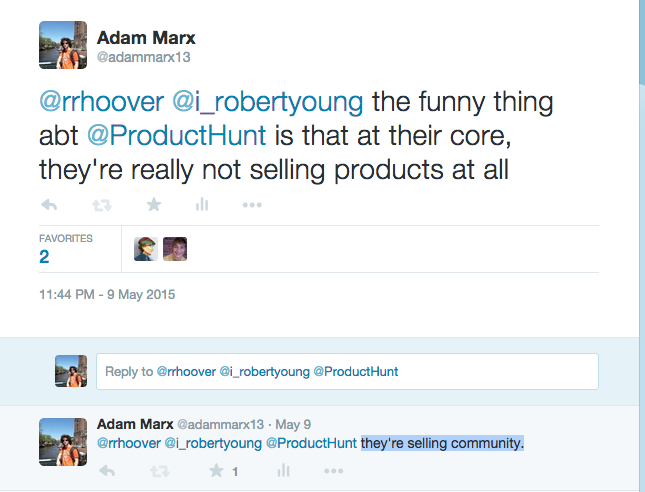 Product Hunt isn’t really selling products; they’re selling community. I use a number of blogging platforms (Medium, WordPress, etc.) because I love writing and reading what others have to say. And while I most certainly will check out Buffalo after reading the comments on PH, in the end, this entire exchange wasn’t about the blogging platform at all. Not really. The exchange—deeper, below the surface—is really about and a testament to the kind of community that Hoover and the rest of the Product Hunt team have built. They don’t sit up on top of their mountain acting with God-like hubris, deciding what will and won’t be popular (though, with the popularity of PH, one could argue that they could if they wanted to). Rather, they encourage discussion throughout their network, and concede that their tastes and opinions do indeed come from personal preference. I have yet to see any post by a PH team member that purports to “know better” than any of the product makers or users on PH. This lack of arrogance is exceedingly palpable—people notice. It’s what makes Product Hunt a real community rather than a forum. A forum has moderators and editors who have the final say. And while PH does employ some extent of moderation when choosing products for the front page (and how could they not, with so many products posted every day), they don’t condone or foster any sense of superiority within the community. 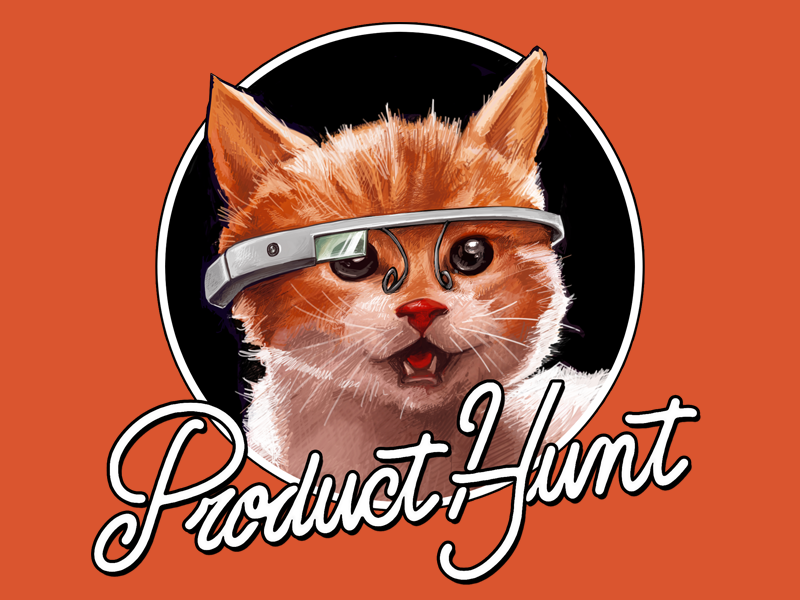 Product Hunt is called Product Hunt (I assume) because people post new products on it (duh). But they’re not selling products; they’re selling community. They’re selling a level playing field so open that the team members who built it continue to engage in conversations with their users. And they don’t need to be “right;” they don’t need to have the last say, or come out looking like product soothsayers. Product Hunt will continue to succeed because of this dynamic. It wouldn’t even matter if their product-content base dried up tomorrow; the people who have come to love the community would find something new to post there. It could end up as Healthcare Hunt, or Garden Hunt, or maybe Airplane Hunt. The products on it would be relevant insofar as the core sense of community remained intact. And I expect it will. This tells me two things. First, Hoover (and the rest of the PH team, I assume) won’t tolerate dynamics of superiority or condescension that would undoubtedly taint the PH community. Secondly, by way of using the example of a new drummer experimenting with his first skins, he illustrates the notion that he sees the PH community (product makers as well as users) as artists. This statement explains away any necessity there might otherwise be to explain why someone made something. Hoover’s statement makes that irrelevant. Artists create for the sake of creation, and they learn new things from the process every time they do it. Product Hunt’s community is at its core a community of product artists, therefore the question of “why?” is no longer relevant. Why? Because we can. My gut tells me that’s exactly how Product Hunt started, if you look deep enough below the surface. Hoover started a product mailing list. Why? Because he could, and he wanted to. Everything else is irrelevant (even the success). Artists are artists because that’s how they see the world. Clearly the same is true for Product Hunters. Even on the toughest days when writing seems like it should be the furthest thing from my mind I still find a way to put something down on paper. It’s not that I’m fleeced into thinking that everything I write will be groundbreaking, but that the simple act of writing helps me to feel productive. Despite the fact that it may seem counterintuitive to feel productive when one forces oneself to put anything down on paper, the opposite is quite true. It rather feels like more of an accomplishment than anything, as one’s initial thought process might usually find such a task daunting in that moment. But even the dreaded blank-page syndrome can’t curtail the sense of productivity I feel when I see words—any words—on that page in front of me. Perhaps in the end, it’s simply that experience that encourages me to continue to write, even in my most off days. Some nights I get to the evening hour and I’m wiped out. I’ve been writing and talking with people all day, and find my mind completely fried. The light is dimming outside, and people are settling down after dinner. And I’m alone with some thoughts. Yet in those moments when I’m almost a zombie to the world, I find I have some of my most intriguing thought processes. It’s in those precise moments that I come to grips with the passing day, and prepare myself for the volley of thoughts which will undoubtedly bombard me before bed. Such thoughts don’t overload my mind though, surprising as that might be. I find that this particular strain of thoughts tend to be what help me to keep pushing forward. And thus I cherish this time—and these thoughts—more than one might think. Though they take up time as I’m trying to wind my mind down, they are nonetheless soothing in their reflective qualities. For some, relaxation and reflection mean plopping down on the couch and turning off one’s mind to watch Netflix. For me though, I (ironically so) find myself most reflective and somewhat relaxed when bombarded by thoughts that seem dogged in their stubbornness. Perhaps I’m even more of an artist than I think. 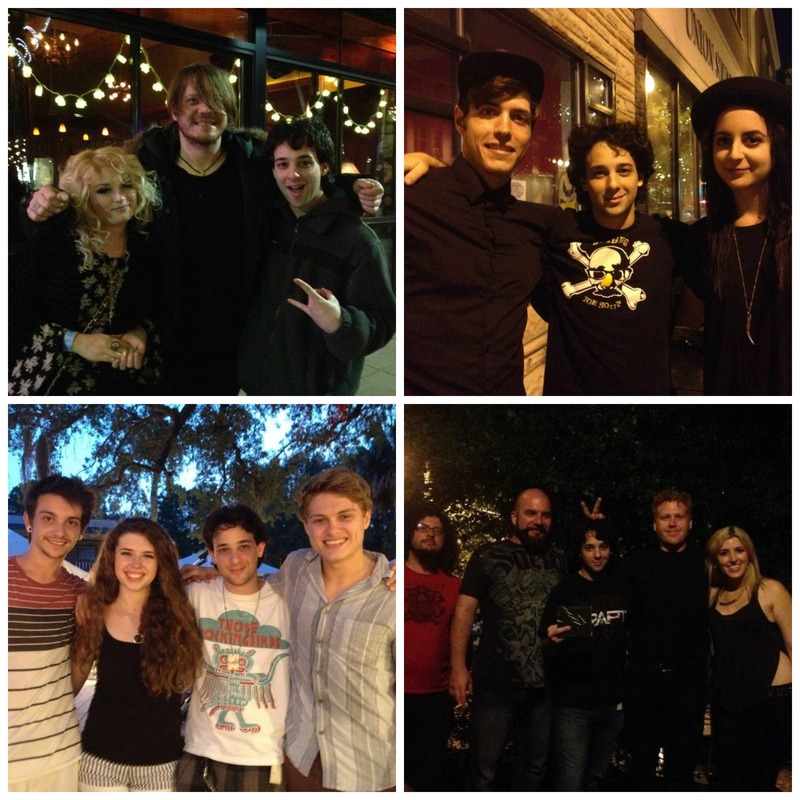 Yesterday was May 8th, 2015. For those of you out there who are history nerds, yesterday marked the 7th anniversary of one of the most pivotal days in world history: VE Day, May 8th, 1945. Though it seems so far in the past for today’s kids in grade school now, Victory in Europe Day marked a significant turning point in the 20th century—like 9/11 or the JFK assassination, most people who were around remember exactly where they were when they received the news of victory in Europe. Yet I saw surprisingly little fanfare online yesterday, especially for the 70th anniversary of such a momentous day in history. It made me wonder if people simply forgot, or if as we move farther away from the actual day, it seems to recede into history (for me though, I don’t think it’s the second). It also occurred to me that—sad as it is—many (if not most) of those who were around during VE Day in 1945 aren’t with us anymore. It’s the natural order of life—people pass away, but it does put into perspective things that must have been so momentous to them and that to us perhaps seem less so. I’m not sure that I think that people simply forgot what yesterday was, but perhaps most decided to take in the anniversary with less fanfare than we summon up for Memorial Day. Perhaps family cookouts and pool parties really aren’t the way to celebrate—but also remember—the near end (victory in the Pacific wouldn’t come for another few months) of one of the most catastrophic wars in history. The historian in me observed yesterday with a certain sense of wistfulness. I’m sure I wasn’t the only one. Inasmuch as I would like to write about intense topics every day, I find that one reaches a point where such topics are too tough to tackle without the proper mindset. Such a mindset isn’t something you (or I) can will yourself (myself) into. It’s something that comes from the sometimes spontaneous (sometimes ephemeral) desire to take a shot at the universe. Poetic as that might sound, the spontaneous quality is something I find helps me create pieces that possess a keener energy than some which I slave over for days or even weeks at a time. The poetic nature of spontaneity and ephemerality lend to one’s writing a mercurial quality that makes it even more like art than it might otherwise be. It’s such an artistic flavor that makes less dramatic posts both more entertaining and more engaging. For that, I understand that not every post will be able to take on such a quality, but I know that by willing myself into it unnaturally, such a quality would surely elude my writing. Thus, for now, I’ll let my mind settle as I wait for the mercurial ephemerality to return to it. Today was day 2 of TechCrunch Disrupt in New York, but what really excited me today was the announcement by a friend of mine that she’s starting a small arts and writing publication. As much as I enjoyed watching TCDisrupt today, it was almost overshadowed in a sense by getting that message in my inbox. I’m still incredibly attached to my writing (as one can tell) and my art, and the chance to present it publicly (however minor) thrills me beyond measure. I suppose that’s part of identifying as an artist: any possibility of an exhibition of your work immediately takes on a whole new exciting tone when one considers it as a viable possibility. Delusions of grandeur aside, the thrill that comes from doing a small art exhibition, or seeing a piece of yours published somewhere other than your own blog, is something that we creatives live for. In the end, it’s not about being the next great whatever; it’s about creating something and knowing that someone somewhere will see it. That dynamic of produce and consume is innate in all creative souls, and something which drives us every morning to make something new. For me, I’ll be looking into my portfolio soon to see which pieces I’d like to send her first. I often think that I would like to write a screenplay. Nothing major, but something to augment the other forms of writing I already have in my portfolio. Just as a programmer sets out to learn a new coding language, so too do I find that only through continuous expansion of my writing skills will I be able to best serve myself in life, both personally and professionally. Yet inasmuch as I would like to take a week and put pen to paper (or keyboard, as the case my be), I nonetheless find myself somewhat shy about attacking a new form of communication and expression that I have no experience in. This is what confuses me greatly. I should have no hesitation in it—after all I’m quite comfortable writing poetry or short stories, things which others might never dream of spending their free time doing. But just as learning a new language (programming or otherwise) is daunting in the beginning, so too do I look up at the precipice above me and wonder how I could ever make it to the top and master such a craft. Yet in the end, I still force myself to produce a few words, even if they’ll be gone in the morning. The sheer act of being able to produce something—if only for a time being—is something that spurs me on to continue to hone new crafts.